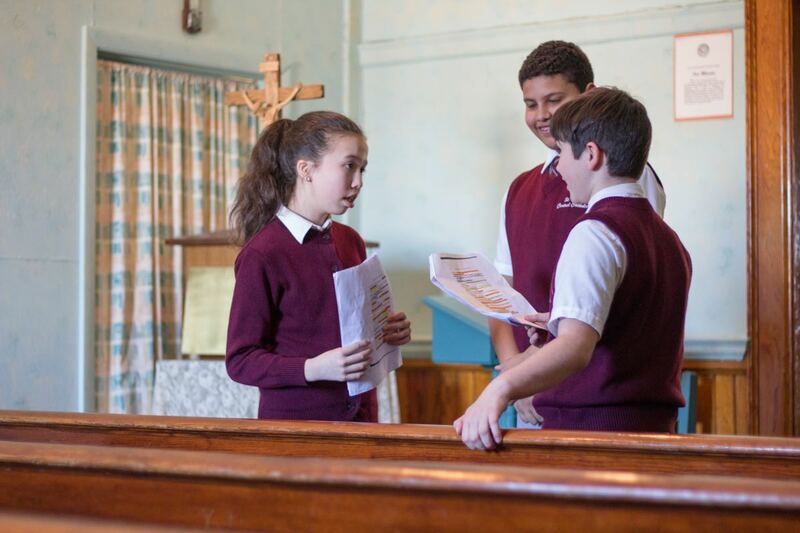 SPCC offers many opportunities for children to develop a strong sense of Catholic identity. Our students witness and participate in a Christian community through a variety of campus ministry events. In addition to religious holy days, our students participate in the sacrament of the Eucharist during First Friday Mass each month. 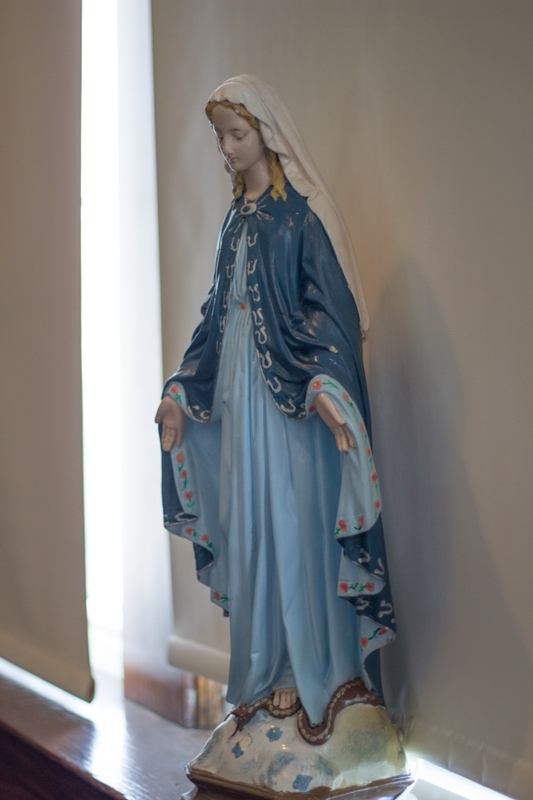 We pray the rosary as a school at the beginning and end of each school year. During Advent, we meet weekly in the gym for a prayer service and lighting of the Advent wreath. Annually, we have a Penance service that affords students the opportunity to receive and understand God’s mercy. 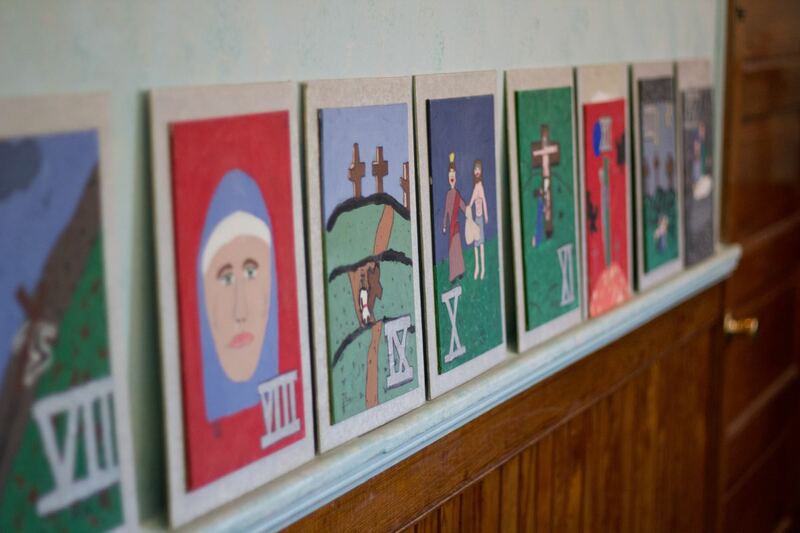 Eighth-grade students and teachers attend religious retreat days held in spiritual settings. 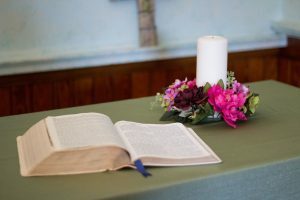 Other schoolwide spiritual events include the annual Christmas pageant, living Stations of the Cross performed by the eighth grade during Lent, and a schoolwide mass celebrating the First Communion of our second graders each spring. Starting in fourth grade, students are given the opportunity to actively participate in Mass as readers and altar servers. We celebrate our Catholic faith with a variety of ongoing community service and outreach activities throughout the school year. Each year during Catholic Schools Week, students participate in a schoolwide service project. Annual schoolwide projects have included supporting Be Like Brit, donating “Soup and Socks” for homeless shelters, sending supplies to our service men and women, and a letter-writing campaign and ceremony expressing gratitude to our local police officers. SPCC participates in the 365Z Foundation’s initiative of committing to an act of kindness 365 days of the year. The Foundation provides a kindness pledge, books, quotes and other materials to foster caring with respect, love, and kindness. One of our teachers has instituted a “Kindness Kart” which she and her class use to visit each class and bestow acts of kindness through words and actions. Each classroom teacher creates their own ways of embracing Jesus’ example of love and inclusion.